Paint and Membrane waterproofing can be used on ridges, cracked tiles, corrugated iron roofs, flashings and valleys. 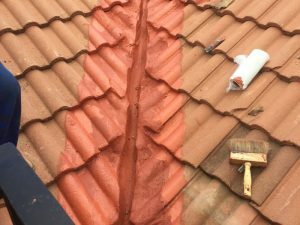 The application is fast and the paint is quick drying. The area is first cleaned, then painted. 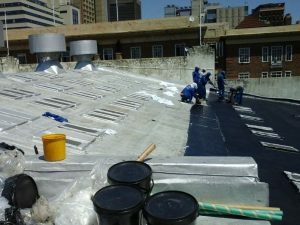 The waterproofing membrane is cut to size, then applied and sealed with more paint. It does however require upkeep and should be painted every year to year and a half. The area to be waterproofed does however need to be dry. This is not an “instant-fix” once the rains have started! A Darachem application is used primarily on flat roofs as a waterproofing solution. 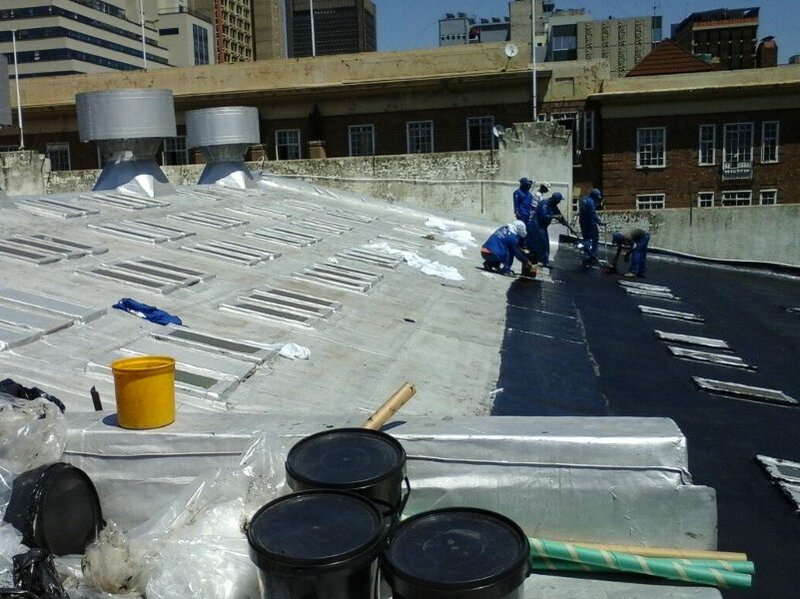 Firstly the roof is cleaned of any dust, flakes and old waterproofing. 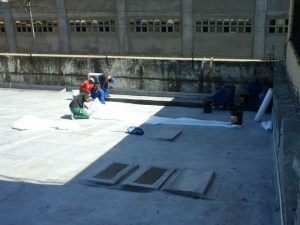 Once clean, we apply the rubberised paint which is then thickly coated on the slab. This application must then dry for 10-12 days. Once the rubberised paint is completely dry, we apply the aluminium paint that gives this application its unique silver look finish. 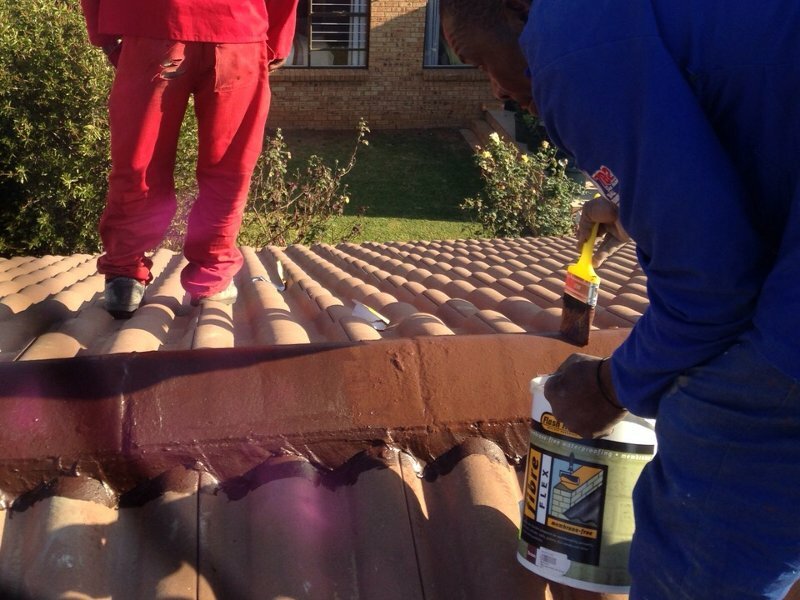 The aluminium paint is to protect the rubberising from UV rays and should be re-applied every couple of years. 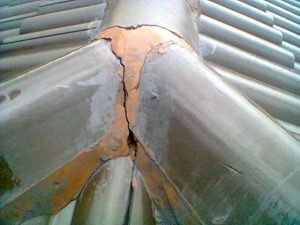 This a good solution for flat concrete roofs and the areas around skylights or roof fans. The market has many different fibre paint options, from Fibre Flex to Frogskin and everything in between. 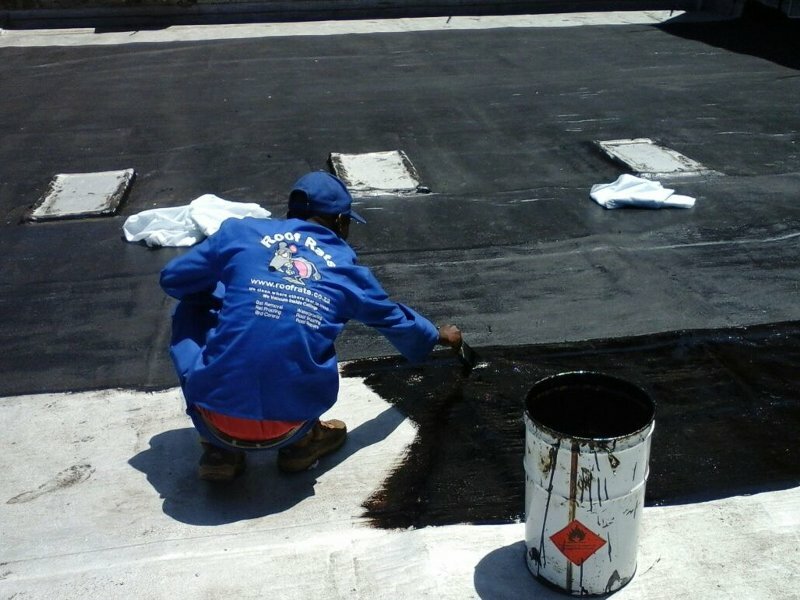 We will be sure to use the correct type of product for your waterproofing needs and advise you on the upkeep of the integrity of the product. 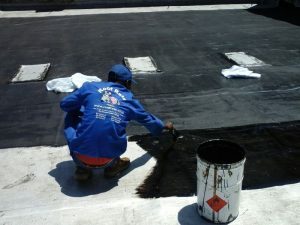 Full guarantees on workmanship and products are given. This can vary from 1 to 10 years, depending on the product used.